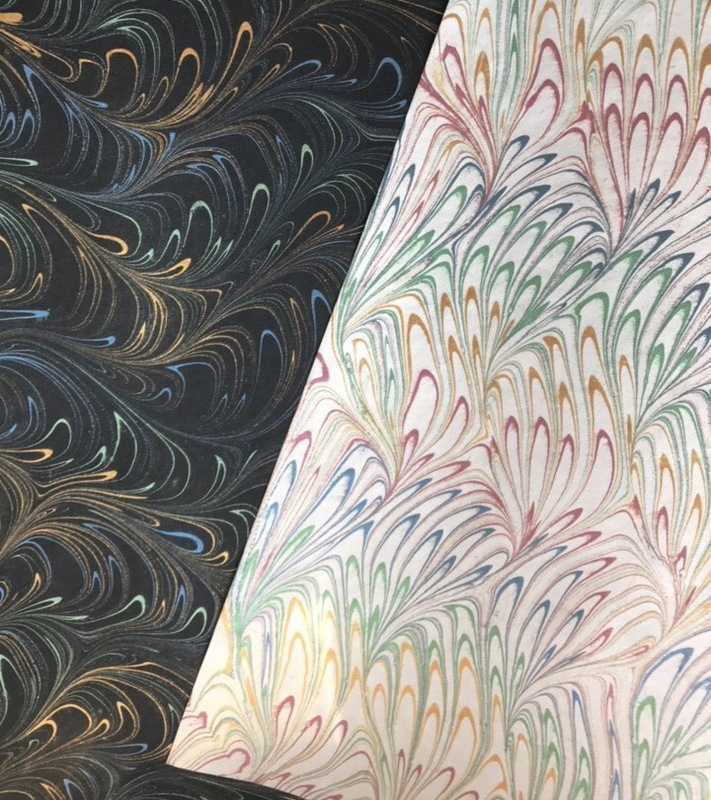 Handbound books + marbled paper with a side of Texas. These buttery papers I bought at Paper Arts last week were my latest bookbinding inspiration. They are the perfect weight for soft cover books (and look at that sparkle y’all!). I have wanted to make some Japanese bound books lately so when I got them home I knew just what I wanted to do with them. I was so pleased with the results! The pattern of the marble lends itself so well to the simplicity of the variations on four-hole binding patterns. 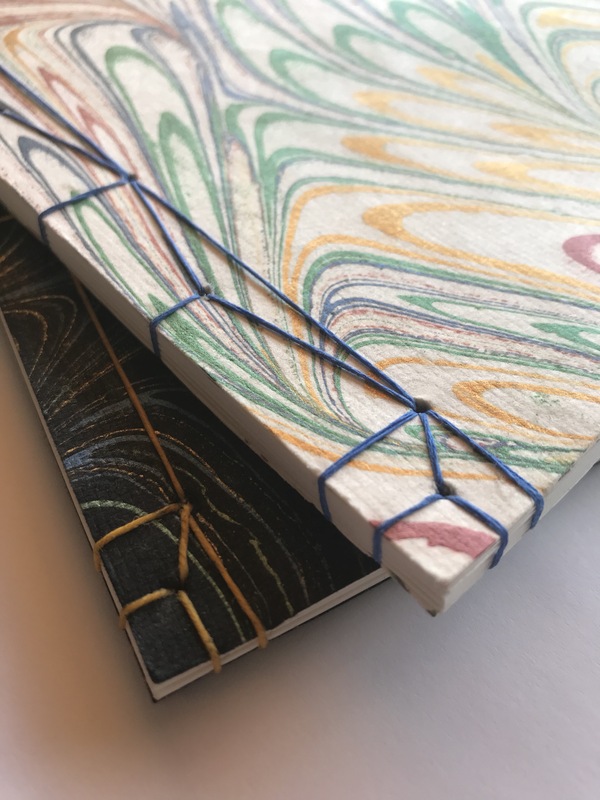 Like Coptic stitch, this binding can be quick–and the results are oh so satisfying. 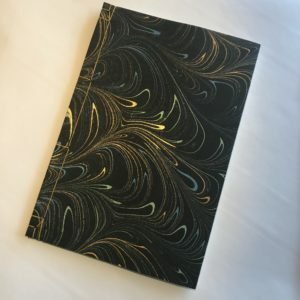 I am whipping up more of these beautiful books ASAP..
Buy these and other books in my Etsy store. 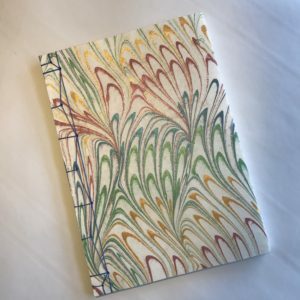 18 for 2018: Big Plans for Bluebonnet Bindery!